Note: Keep in mind that there can be many different forms of yoga and Pilates, making it difficult to determine distinctions between the two. The practice of yoga originated in India more than 5,000 years ago. It has evolved over the centuries and cultures into many different types of yoga: Ashtanga, Kripalu, Bikram and Vineyasa, to name just a few. 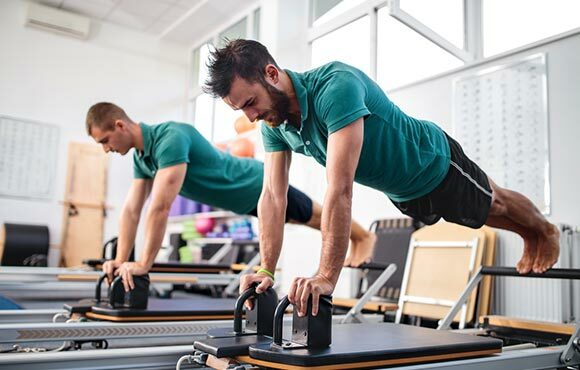 Pilates is a much younger practice, beginning in the mid-20th century by an athlete named Joseph Pilates. He created the exercises as a form of rehabilitation and strengthening. Despite what some may think, dance is actually what made Pilates really popular. Dancers around the world began modifying and utilizing the practice to help them become stronger in their training and performance. Quiz: What's Your Yoga IQ? Both yoga and Pilates bring an understanding that the mind and body are connected. However, yoga adds an additional element to the mix—the spirit. Exploring spirituality is a huge part of yoga practice, especially through meditation. 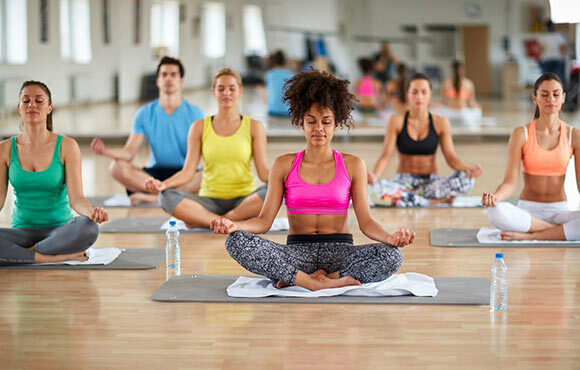 While Pilates focuses on creating an understanding that the mind and body are connected and how this can help in everyday life, yoga focuses on the full mind/body/spirit connection. Each class you walk into will be different, so it's tough to pinpoint specific distinctions, but this is one of the most frequently asked questions. Many yoga classes are flexible in routine. Postures, sequences and variations can be combined into tens of thousands of routines to create a class. So it will be up to the style of yoga you practice and the teacher guiding you to decide what's on the agenda. There are some styles of yoga that have more of a set plan, such as Ashtanga and Bikram. Pilates classes are a little more structured. Because of this, you will more likely know what to expect when you walk into the door of a Pilates class than in a yoga class. 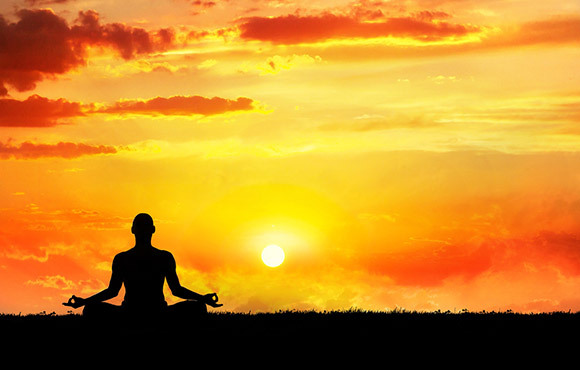 Another element that is often (but not always) brought into a yoga class is meditation. 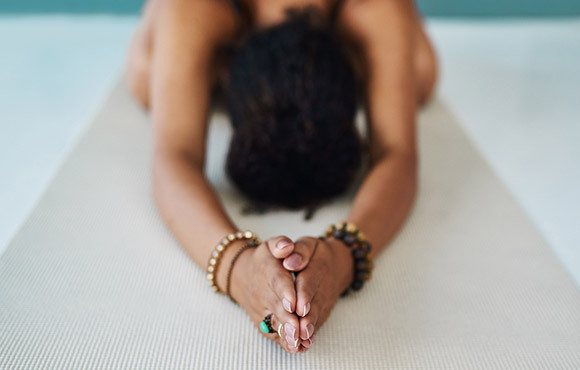 Many yoga classes use a chant or meditation to bring in the focus and dedication at the beginning, and to seal in and appreciate the benefits of the practice at the end. In both practices, you will gain strength and flexibility. Pilates classes offer a total body workout but focus on aligning the spine and strengthening the core. The exercises done in Pilates classes almost always involve regimented movements to gain core and spine strength. Some classes and one-on-one sessions use machines to gain strength, while others keep you on the mat and use your body's resistance to build results. In a yoga class, you will work out every muscle in your body equally. Each posture is accompanied by a counter-posture to ensure you create balance in your body. While core-strength is definitely an important element in yoga, it is more of a piece of Pilates, rather than the entire focus. Breathing and concentration techniques are important to both yoga and Pilates practices. However, yoga uses breath work on a very deep level. In energetic flow-based yoga classes such as Vinyasa or Ashtanga, the practice is called the ujjayi breath, where yogis breathe in and out through the nose, matching these deep breaths to the movements and postures. Often in yoga classes, there will be segments dedicated to breath work, called pranayama. In Pilates practices, you inhale through the nose and exhale through the mouth. If you are certain you want your practice to be spiritual and are looking to manage your stress, yoga may be the better option for you. If your priority is to focus on your back and core, Pilates may be a better fit. If you don't know where to start, try them both. If you are leaning towards one or the other, try them both anyway. That's the only way to really know which practice you will enjoy and benefit from most.